Comprehensive in its capabilities, Capture One Pro 12 from Phase One is a refined raw conversion, photo editing, and tethered shooting solution offering a great deal of control over both production and pre-production workflows. Version 12 of this software focuses on three masking tools for making more precise selections. The Luminosity Mask enables making selections based on lightness of an area, making it easier to selectively edit just the shadows or highlights of an image. And inspired by lens-based effects, both Linear and Radial Gradient Masks can be used to produce smooth transitions and gradations similar to graduated filters or vignetting effects. Complementing these editing capabilities, Capture One 12 also saw a slew of updates in regard to its interface, with a revised color scheme to support longer editing sessions, a keyboard shortcut search to help expedite switching tools and functions, and support for third-party plug-in extensions to accentuate Capture One's capabilities. These updates also work in concert with the layer-based editing workflow adopted in the previous version, for making selective edits and local adjustments with greater precision. Balancing the slew of additions, Capture One Pro 12 also maintains its vast existing set of editing and production features, including the ability to work with either Catalogs or Sessions types of organization, configurable and sortable keywords, compatibility with more than 500 individual cameras and raw file types, and rich metadata editing capabilities. For fine-tuned editing, a range of curves and color tools can be used in both global and local methods, as well as reap the benefits of working with full raw color data. When files have been converted to a DNG file type, Capture One can interpret the file's colors as if it were the original file type and a revised color editor interface now enables easier masking and selection capabilities based on specific color values. When saving files for the web, a redeveloped re-scaling engine works to maintain the original file's sharpness and clarity at smaller resized resolutions. Additionally, benefitting photographers working among a team or with other editors, both Catalogs and Sessions can also be exported as convenient EIP files for simplified sharing of imagery. 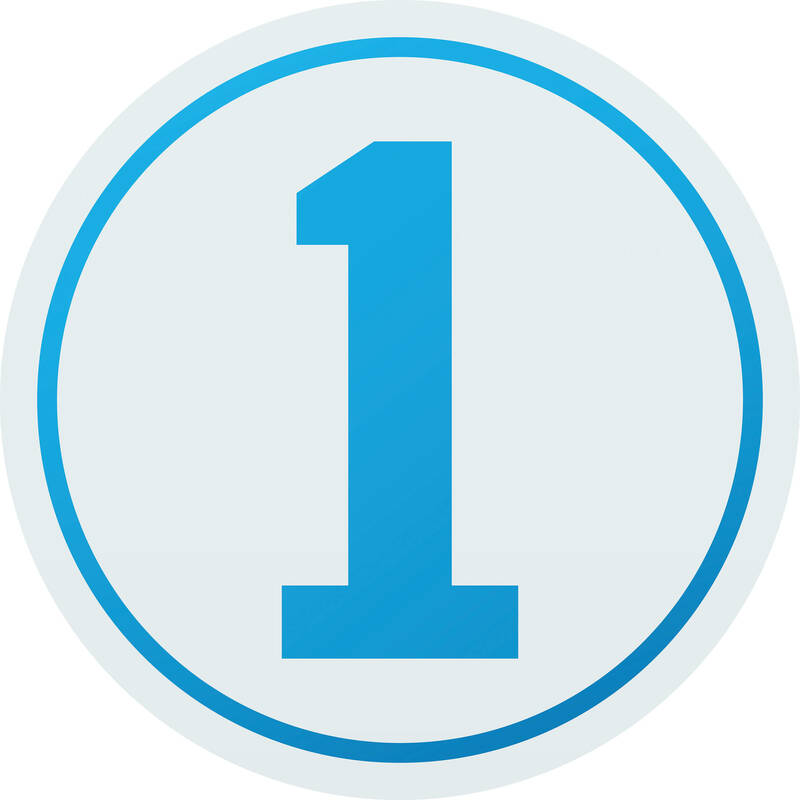 This item is delivered as a download and is for upgrading from a 10-user license of Capture One Pro 10 to a 5-user license of Capture One Pro 12. Luminosity Masks help in making selections of areas based on their lightness for applying an even effect to a specific luminosity, such as using shadow recovery only in the darkest shadows or clarity only in the highlights. Gradient Masks are used to produce smooth gradients on a layer in order to achieve soft gradations and transitions, similar to a graduated neutral density filter. Radial Masks can be used to create round masks with soft edges, and are perfect for producing vignetting effects or adjusting focus and selective softness. The interface has been updated with a revised color scheme to support longer working sessions as well as to streamline tool use, discovery, and customization. Additionally, all menu items have been evaluated, sorted, and grouped with associated tasks to make desired controls and settings easier to find. When copying adjustments made between images, Capture One automatically detects changes to speed up the editing process. Additionally, image-specific adjustments, like changes to the composition or spot removal, will be automatically ignored by default but can be included if necessary. Keyboard shortcuts can be searched to help you better learn the shortcuts and expedite your workflow. Additionally, shortcuts can also be customized for a more personalized configuration. Third-party plug-in extensions are supported to broaden the versatility and capabilities of working within Capture One. FUJIFILM Film Simulations, developed by FUJIFILM, have been integrated within Capture One and can now be applied to images shot with select FUJIFILM cameras during post-production. Emphasizing image quality and editing control, numerous editing tools are available to preserve, recover, and optimize all of the desired information from your raw files. Ideal for making precise local adjustments, up to 16 different Layers can be used on an image along with different brush options and opacity adjustments for controlled masking. Layer opacity can be adjusted to fine-tune your results, and editing controls also fully support the use of Wacom tablets. Helping to improve contrast and definition, Clarity is a tool that enhances local and micro contrast values without destroying highlight and shadow details while Structure helps to add definition to fine details. Healing and Cloning processes can be used in conjunction with layers by creating specific layers to remove unwanted elements from your image. A Heal Layer blends with the surroundings of the targeted area while a Clone Layer will specifically clone in a source area to the targeted area. Shadow and Highlight Recovery tools help to maintain a long tonal scale with rich, natural colors and a longer apparent dynamic range. Styles and Presets can be applied to images to achieve a consistent and controlled look, ranging from built-in styles packs to custom-built presets to imported third-party styles. In addition to traditional RGB and individual color curves, there is also a Luma Curve for adjusting luminosity values without affecting hue and saturation. Additional curves can also be used to fine-tune the look of your file, including Film Curves for producing distinct effects. Feather Mask allows you to easily soften the edges of a mask after drawing it and avoids the need to redraw masks through the use of a slider to control feathering. Alternatively, there is also a Refine Edge feature for making more precise edges in a mask, such as when picking out hair against a background, and it can be used in conjunction with Auto Mask for a fast and powerful mask-making tool. When making a mask, switching to Gray Scale mode can help reduce distractions caused by color and allow for more precise selections. Important for organizing small batches of images or libraries of thousands of files, a variety of asset management tools helps to keep files sorted and accessible regardless of how large your image collection is. Full support is available for reading layered PSD files to enhance a workflow that uses both Capture One and Photoshop. Catalog and Sessions offer two means for working with Capture One, and offer benefits to users with large-scale catalogs as well as those with fewer images. Catalogs are well-suited to those with large image libraries, and help when using Capture One as your main, standalone image editing tool. Sessions, conversely, are better designed for day-to-day jobs and smaller image batches. Images can be filtered globally or specific filters can be used independently to create Smart Albums that organize images based on various specified criteria. Keywords can be added and removed from images using simple clicks. Keyword libraries can also be created to manage different lists of sorted keywords for greater efficiency. A variety of tools are available to rate, tag, and move images within Sessions or Catalogs for faster and easier culling of files. Helping to make the switch to Capture One as easy as possible, there is importing support for many third-party application catalogs to maintain your existing folder structures and most image adjustments. Three Activations: Each Capture One Pro 12 license includes three separate activations, allowing you to install the software on a home computer, a location laptop, and one other device. Ranging from customizable tools and shortcuts to improved graphics performance and tethered shooting, Capture One has been updated for enhanced efficiency to benefit all aspects of a digital workflow. Images can be annotated with handwritten notes and drawings directly on the file, which help to point out important aspects of an image or can serve as notes to a retoucher or even just reminders for later editing. These annotations can be saved as a separate layer in an exported PSD file for added flexibility across editing applications. Workspaces can be built and customized to suit your individual editing needs with the ability to hide, move, or resize tools, viewers, thumbnails, and icons. One of the main assets of Capture One, tethered shooting support avails a versatile and flexible means for shooting directly to your computer with the ability to apply instant adjustments. Live View can be used, too, for large scale real time viewing while shooting. Helping to ensure consistency and improve editing efficiency, adjustments can be copied from one file and applied to others. Individual adjustments can be copied along with entire editing processes to apply to a batch of files. Keyboard shortcuts help to quickly navigate the application and these shortcuts can be customized to suit your individual workflow. Additionally, support is also available for Tangent products for more tactile control over specific tools. Process Recipes allow you to apply a series of adjustments to volumes of images, including the ability to export files into several formats, sizes, and locations with a single click, as well as apply consistent sharpening, ignore cropping, strip metadata, and apply watermarks. Graphics acceleration makes full use of your graphics card to ensure a smoother working experience and faster processing times. Compared to static, manually entered text, Tokens can be used as a dynamic solution to filling in naming, destination, watermarking, and other metadata based on specific information the files are bound to. Tokens can be created to cull specific information from a file, such as an exposure setting, for easily sorting files into folders, renaming them based on assignment, or for applying export commands. Well known for its color handling, Capture One includes a variety of tools to help ensure accurate and controllable color balance. Custom-made color profiles from more than 500 different cameras are pre-loaded to help ensure straight-from-camera color accuracy for an ideal foundation from which to perform further adjustments to the raw image file. An intuitive Color Balance Tool breaks down color grading with the ability to independently adjust hue and luminosity for shadows, mid-tones, and highlights. In addition to color, a dedicated Black & White tool also affords full control over converting color originals to monochromatic grayscale images while minimizing noise for smooth tonality. The Color Editor lets you adjust hue, saturation, and lightness for a specific range of colors for more selective control over certain colors in a scene. A Skin Tone tool lets you refine and adjust skin tonality using three Uniformity sliders—hue, saturation, and lightness—without affecting the rest of the scene. These adjustments can also be applied as a local adjustment for even greater control. Beyond image editing controls, additional tools and features utilize all available data from your raw files in order to provide the most comprehensive range of adjustment capabilities. Three-Phase Sharpening Tools: Rather than utilizing a single sharpening method, three stages of sharpening are now available, and are optimized for specific stages of post-production. During input, deconvolution sharpening is used; while working with imagery, the Creative stage, sharpening methods are based on user input and dependent on content; and during Output, sharpening is based on the selected final medium, image size, or print media type. Input Sharpening: When inputting imagery, you have the option to correct for diffraction by automatically reducing the appearance of blur caused by diffraction while shooting. Creative Sharpening: User input is used for more localized and specific sharpening while editing imagery, and can be performed using the general sharpening tool, or various sharpening tools in local adjustments. Radius, Threshold, and Halo Suppression sliders allow you to fine-tune the amount and quality of sharpening. Output Sharpening: In recipe's adjustments tabs, levels of sharpening can be defined based on various exporting and outputting concerns. A dedicated proofing function can be used for making fine-tuned adjustments, and when sharpening for print output, you can specify the intended viewing distance for optimized sharpening. Output Proofing: Allowing you to generate specific recipes for various output concerns, this mode lets you imitate the final size, resolution, color, and sharpening in a dedicated viewer, making it especially useful for outputting small files for web and for optimizing compression quality. Six different types of Film Grain can be added to images to give a distinct filmic appearance, and Impact and Granularity sliders can be used to fine-tune the look of each grain setting. A dedicated Moiré tool affords a simple, seamless way to manage difficult aliasing patterns. This tool can also be applied as a Local Adjustment for greater control. Using camera model and ISO settings as a base, intelligent Noise Reduction can be applied to produce cleaner image quality while preserving details. A simple solution to correcting perspective distortions, the Keystone tool lets you define areas of concern and correct them with a single click. An extensive library of built-in lens profiles, from both manufacturers and Capture One, lets you correct distortion, chromatic aberration, and light falloff for a variety of lenses.